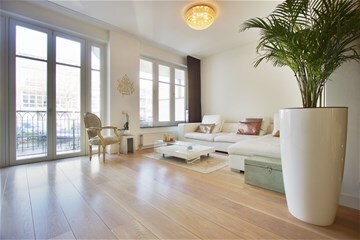 Beautiful light and bright modern one bedroom apartment of approx. 84m2 (divided over two floors) situated on the ground floor and souterrain with spacious terrace in the rear and docking facility for your private boat on the "Lijnbaansgracht", should you choose to have one. 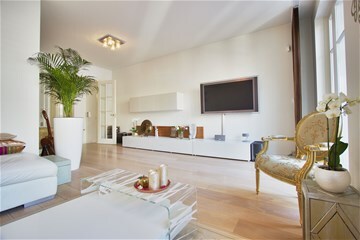 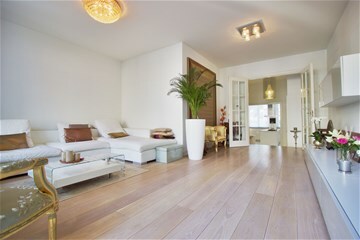 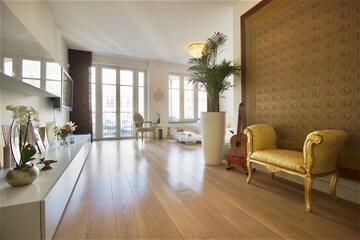 This apartment is part of a contemporary buiding in the most popular area of Amsterdam- Center. 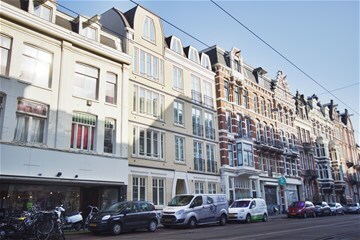 Literally within walking distance of "Leidseplein, Paradiso, Rembrandtplein, Koninklijk Theater Carré, Rijksmuseum, Albert Cuyp markt" and popular shopping streets as "Utrechtsestraat and P.C. 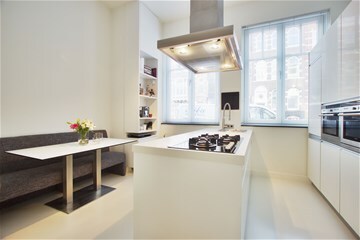 Hooftstraat"
Last but not least; excellent public transport facilities towards Amsterdam Central Station or Amsterdam WTC. 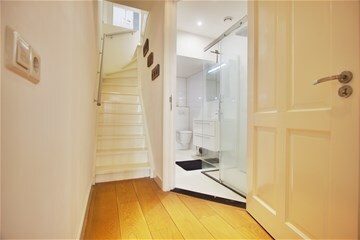 Entrance hall with cloakroom and separate toilet with washbasin. 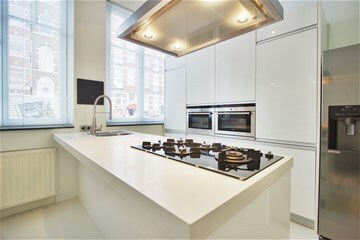 Fully equipped stylish kitchen with cooking island in the front, with all imaginable appliances built-in. 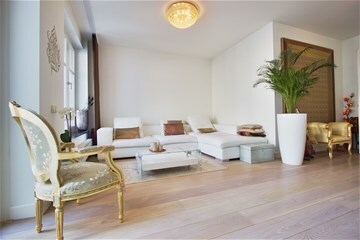 Light and bright living room in the rear with access to terrace with view overlooking the "Lijnbaansgracht". 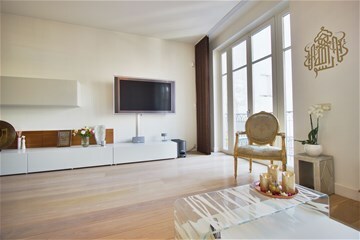 The living room is equipped with a hardwood oak white wash floor. 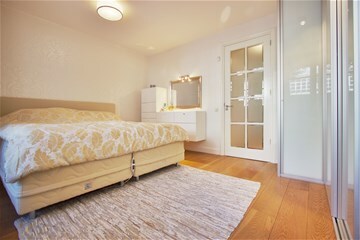 Master bedroom in the rear with king size bed and plenty of wardrobe space, this room also provides access to a patio. 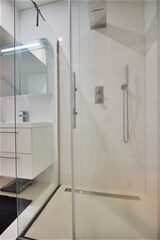 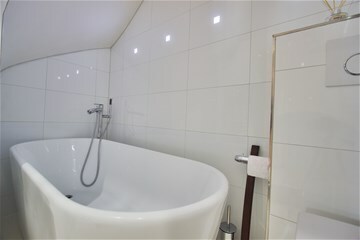 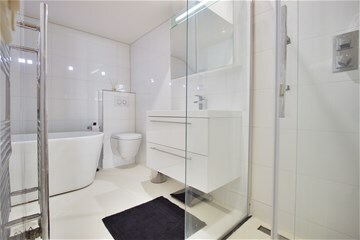 Modern bathroom with bath, 2nd toilet, shower and hand washbasin and don't forget a utility room with washer and dryer. 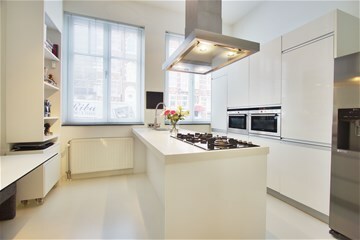 Monthly rent: €2250,- excl. 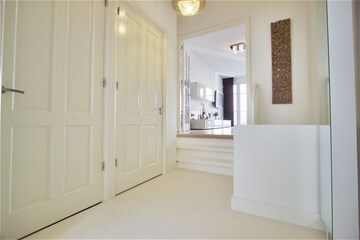 bills. 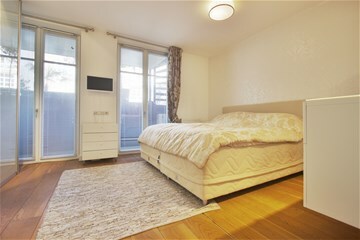 Deposit: Equals two months rent. 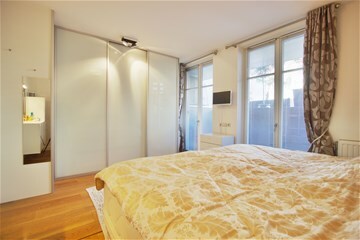 Preferably available for expats with owner's prior consent.